Want to know what aspects of your product the respondents likes best? 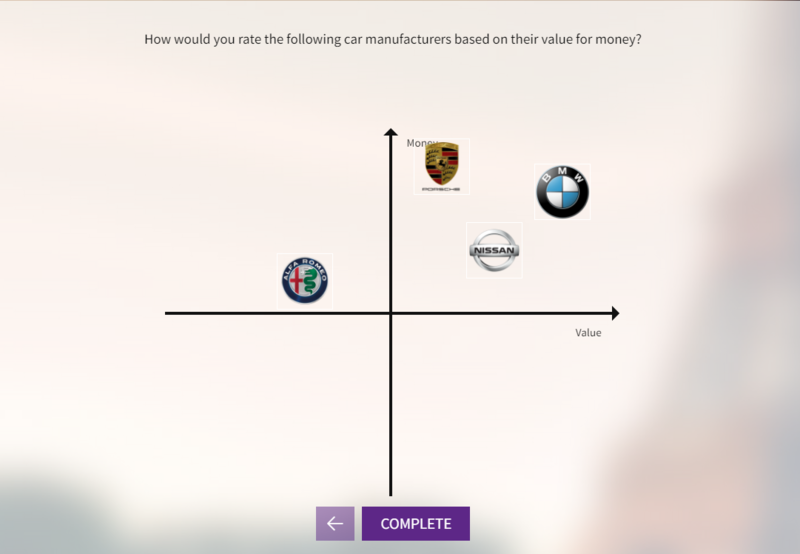 List them and let your respondents rank the items themselves by asking a ranking question. This allows survey respondents to compare different items to each other by placing them in order of how they score (or rank) at a specific aspect, such as design, cost, functionality, importance. Often with the most important or preferred item ranked first or on top of the list. The example below uses a ranking scale of #1 to #4, with #1 being the most important object to #4 being the least important object. One variant of the classic ranking question is the XY drag and drop question. This allows the user to rank items on two characteristics simultaneously.